NASHVILLE, Tenn., Jul 11, 2016 (SEND2PRESS NEWSWIRE) -- Most online dating profiles start with a request to upload a headshot, but this newly-launched dating app has something else in mind. The Hart app from Hydroponic LLC is the first dating app that features no headshots, but focuses on creativity instead. "It's a new era for making dating connections," says Scott Webb, the app's creator. "It's ideal for people who are less photogenic and prefer to make an introduction based on another connection." People will use their creativity rather than their physical wiles to attract those of like-mind. A blogger for the "Urban Dater" agrees and says, "Intelligence is the next thing in dating," and predicts the new Hart dating app will be too. Webb was inspired to create the app after attending a Rolling Stones concert. He was struck that rock stars like Mick Jagger and Keith Richards could never have competed on an app like Tinder, but still drove women crazy anyway. Raw talent often contributes to the magnetism. For example, someone might be able to spin words into beautiful poetry or run a five-minute mile, but are overlooked because their beauty runs deeper than what presents at the surface. Shouldn't there be a way to highlight those abilities? "Real relationships are more complex and 'commonality through expression' may be the better variable," Webb suggests. "The ability to articulate also drives the app user's potential success." 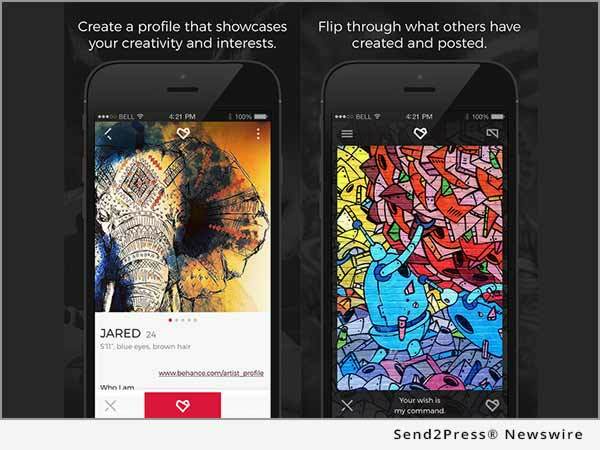 The Hart app provides the ideal platform for showcasing graphics, sketches or photos of their creative inventions or unique interests. They can also add up to five words to their presentation. Other interested users make comments or "write a critique." If the artist and the critique resonate, it's a match. Upgrades can also be made for less money than other apps. David Basacco, CEO with the app development company, RhinoActive, says they chose to work on this because it really fills a niche. "We were excited about it from day one," he says.